Our Sales Team at Clayton currently requires a motivated and driven Sales Support Assistant to join them in a full time permanent position. This role is branch based where you will be at the forefront of ensuring a positive customer service experience both internally and externally. It is an excellent opportunity to get your foot into the earthmoving equipment industry with a true the market leader. Intermediate computer skills, especially Microsoft Excel. If you have an appreciation or understanding of the earthmoving industry, or a desire to learn more about this exciting business of helping customers succeed by leveraging Caterpillar equipment, technology and support services then this will be a rewarding, while challenging role. Like to get your hands dirty? This role also provides opportunities to get on the machines and out in the field as part of your development. 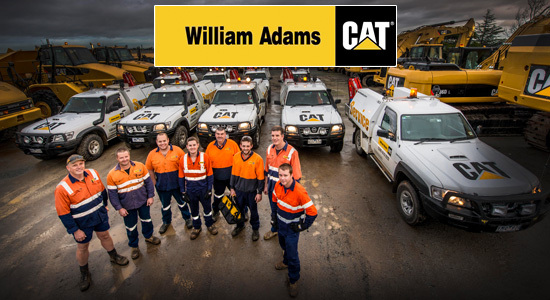 This is a rare chance to kick start a long term career with a proud Australian owned company, that has been operating continuously since 1884!